Hey FoodLovers! I have a confession to make…. Charcoal grilling isn’t my thing at all but when someone else does the magic and all I have to do is eat….charcoal grilled food is my thing! My story is usually that the food is exposed to carcinogens (substances that promote formation of cancer) which is actually true but my real reason is I am just too lazy and flame concious because every chance I get, I buy suya (West African delicacy; spicy charcoal grilled beef kebab) and there really are so many tips for Healthy Grilling…. My cousins The Oraniks had a little grill party the other day…. Of course I was at the grill point disturbing Tochs (The Grill Master) for tips because watching him do it so effortlessly had me sure I was going to be doing some grilling the next day. 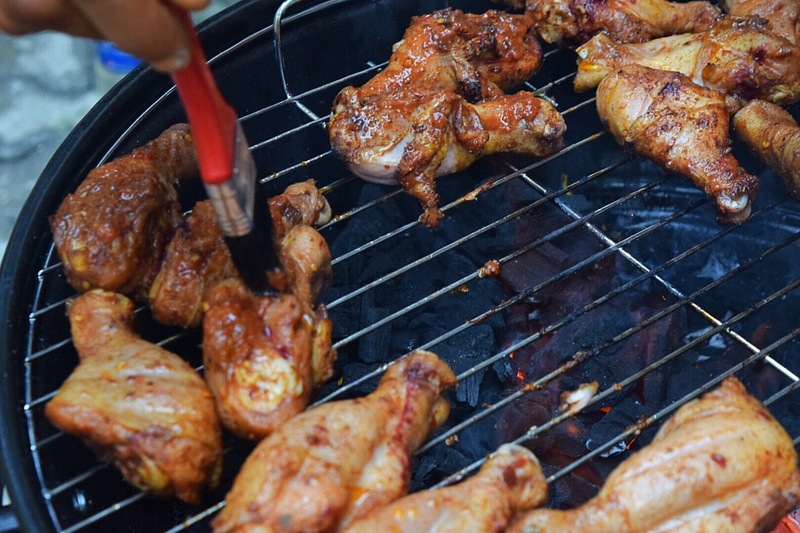 I got home, did a quick research on Healthy grilling and put down notes, here are a few…. That looks easy, I hope it is. Very easy…you should try it! You had me at “bacon-wrapped”! Seriously, this is a great idea. I’m going to use grape tomatoes to avoid having to cut them. Thanks for the great idea!